Pioneers in the industry, we offer cotton exercise sheets and ripstop exercise sheet from India. Our organization is actively engaged in manufacturing, exporting & supplying of Cotton Exercise Sheets. 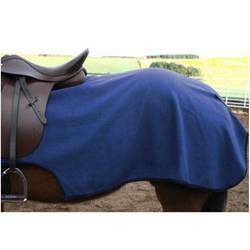 Our offered sheets gives comfort to horse body and keep it dry after long hours of exercises due to the premium quality fabric used in the designing of these sheets. To design these sheets, our designers make use of latest machinery in compliance with industry defined quality standards. These sheets are designed to absorb the sweat during exercise. We have emerged as the foremost manufacturer, exporter and supplier of Ripstop Exercise Sheet. 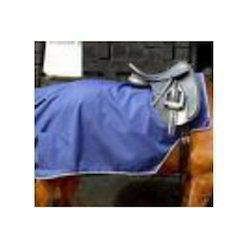 Our offered sheet is designed utilizing the finest fabrics by our highly skilled designers. Besides this, provided sheet is combined with trendy looks and high comfort level that goes well for exercise session. In addition to this, our quality controllers stringently test the sheet at each phase of production to assure unmatched quality. Moreover, we are offering this sheet at market leading prices to our clients.